I often find that managers are reticent to discuss stress in the workplace for fear that it will encourage complaining and frustration on the part of their employees. However, stress levels in today’s workplace are the elephant in the room and a resilience approach to these topics will help move the conversation from problem finding to problem solving. Own the reality: Acknowledge that we are in a high stress time. Tie the workload to the mission of the organization and the success of your workgroup. Recognize and reward: Give immediate praise to team members doing a great job in the difficult situation. Point out how the team has been successful in other difficult times. Learn from adversity: Evaluate successes and failures for what you did well or poorly. You want to celebrate success and celebrate failure for both indicate that the team is acting on their objectives. Reach out to your team: Check in with team members individually and see how resilient they are to the challenges. Not everyone is equally resilient. Model success: Keep up with your own resilience program that includes rest, exercise and good nutrition. 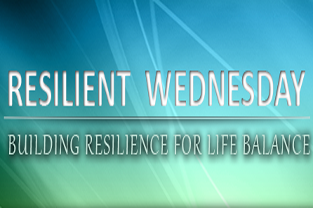 Remember that resilience is also a state of mind so you will want to look for positives and a sense of humor. By the way, have you heard the one about….